Beautiful energy efficient four bedroom home completely rebuilt with large rooms, custom kitchen with island, granite counters soft close cabinetry, pantry, energy star stainless steel appliances, beautiful wood floors, cathedral ceilings and first floor bedroom. Home shows pride of ownership through out. 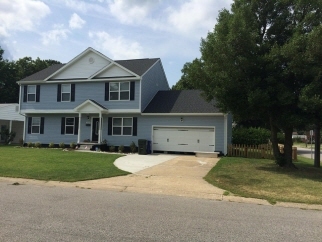 Situated on large corner fenced in lot convenient to everything just minutes from shore drive. Pets okay with pet fee.